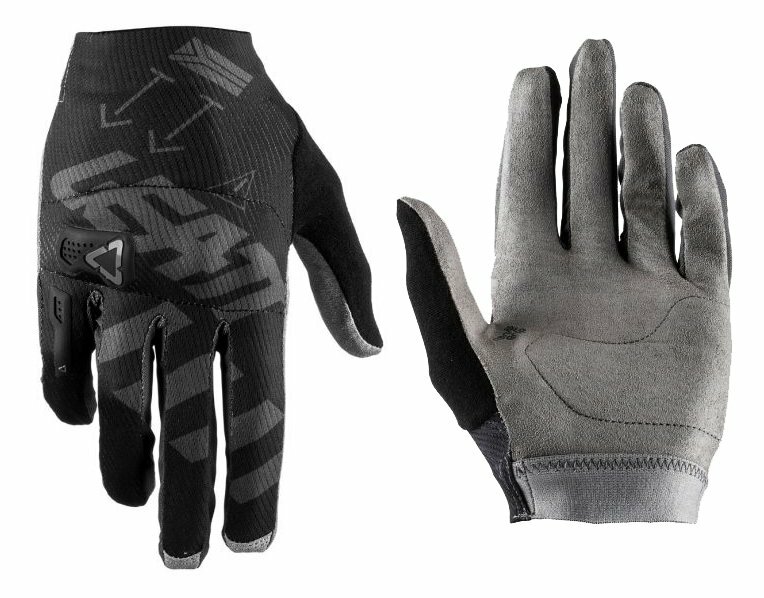 The Leatt DBX 3.0 Lite MTB Gloves 2019 offer knuckle protection and feature our proven NanoGrip palm for unbeaten bar feel. The upper hand is made of stretch material that is both lightweight and offers good airflow and protection is offered by impact absorbing inserts on the knuckles, a low-profile solution that not only provides protection but that is also very comfortable. The micro-adjusted 3D brush guard adds additional protection by increasing the scratch and abrasion resistance of the pinky and knuckles. 7.5" - 8" 8.5" - 9" 9.5" - 10" 10.5" - 11"
how about the blue and slate color of this gloves? BEST ANSWER: The gloves are sweet, run a little tight across the knuckles.